“You were a unanimous choice because of your tremendous contributions to the development, advancement and generally as a writer from Africa, blending your new cultural environment [Europe], with your African heritage. Africa. We appreciate your good contributions in creating desired positive awareness on Africans and non-Africans with your collection of books, an expression of the African Continent, her people, resources and beauty. “You are an exemplary leader and a rare breed of excellence whose quality of character and sincerity of purpose places you on the platform of a role model for, and mentor to African youths. 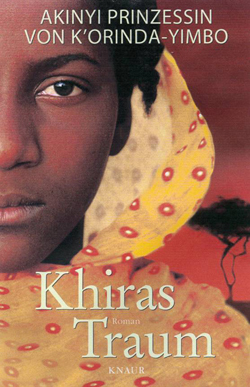 Her collection of works includes Khiras Traum, the epic love story of a Swedish industrialist and a Kenyan girl. 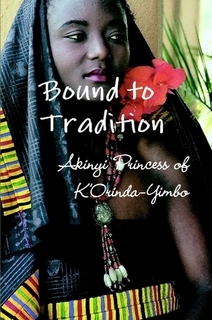 She expanded the epic to three volumes, now published in the English language as Bound to Tradition Book 1: The Dream; Bound to Tradition Book 2: The Initiation; and Bound to Tradition Book 3: The Separation. She has several other publications including the controversial humanities non-fiction Darkest Europe and Africa’s Nightmare: A Critical Observation of Neighboring Continents. Her column with Afri can Time (Time Media, Berlin), called Darkest Europe, is equally controversial.